Organization: Pacific Alliance Technologies / WorkTech Inc. 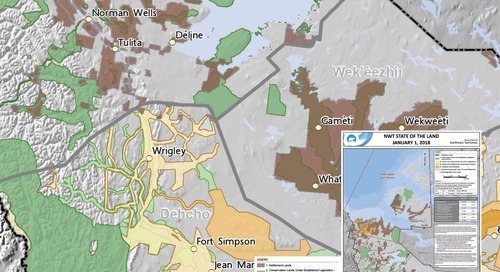 The Regional District of Kitimat Stikine (RDKS) covers over 100,000 km² that contains a wealth of underdeveloped forest, mineral and coastal resources. 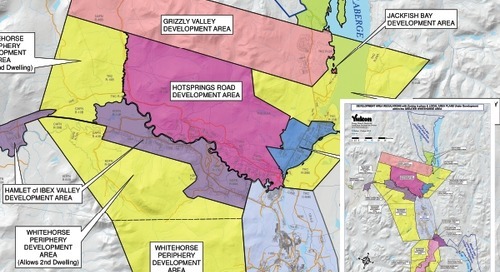 Over $30 billion in major projects and investment opportunities are planned in the northwest region of BC, with the majority of projects in the RDKS. 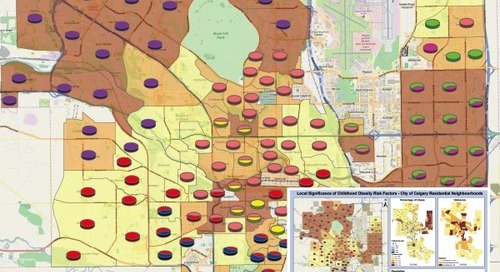 These opportunities have generated much interest in the region; however investors lacked access to a comprehensive, up-to-date regional resource inventory of the entire region for reference. 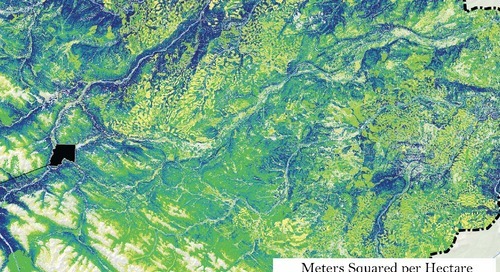 This large-format, colour map was created to fill that gap. 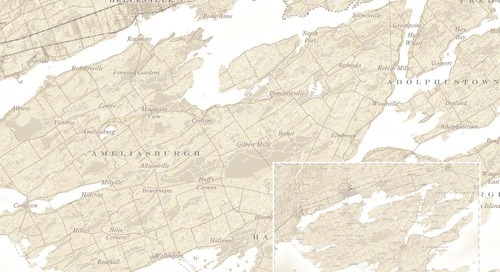 The map provides a wealth of information, including land-use designations, proposed pipelines, mining projects and demographics, delivering a holistic understanding of the region. 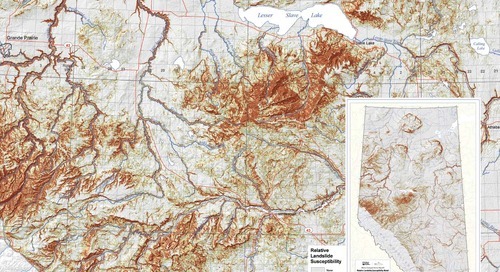 This map portrays the spatial distribution of landslide susceptible-terrain as a relative ranking from low to high. 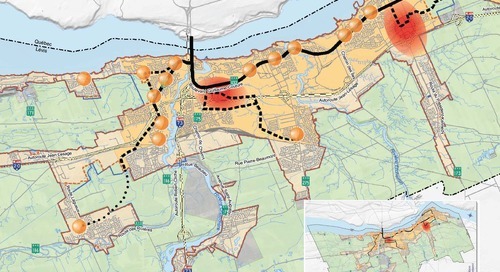 As part of the City of Lévis’ land use and development plan, over 30 maps were created illustrating the City of Lévis’ urban planning goals and long-term vision. 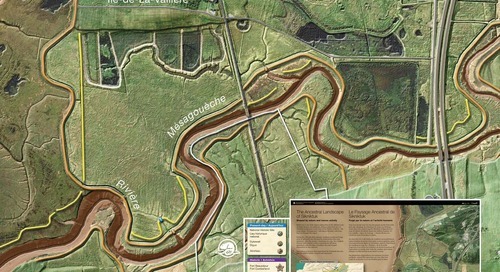 This map shows one of the largest saltmarshes on the Atlantic coast. 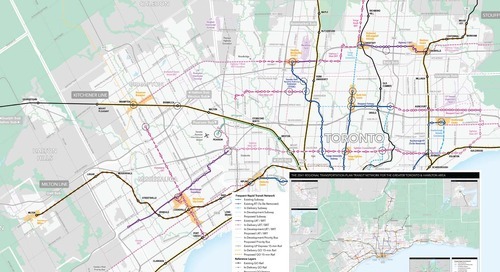 This wall poster was developed for the new Metrolinx CEO. This retailer wanted to find its best growth opportunities without stealing business from its other locations. Underground cables and their components are subject to ageing and deterioration with an associated risk of failure. 2017 Wildfire Season: A Record-Setting Fire Season in the Province of B.C. The summer of 2017 will be remembered as one of the worst wildfire seasons in British Columbia's history. 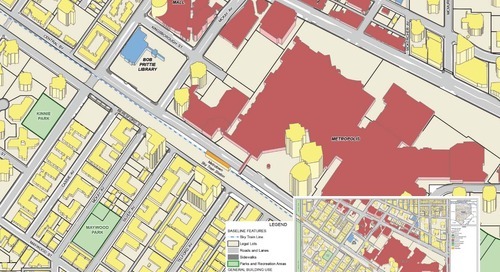 This map displays 3D buildings on a 2D thematic map with the buildings colour-coded to display a quick visual representation of the general building use in the Metrotown Town Centre area in Burnaby. 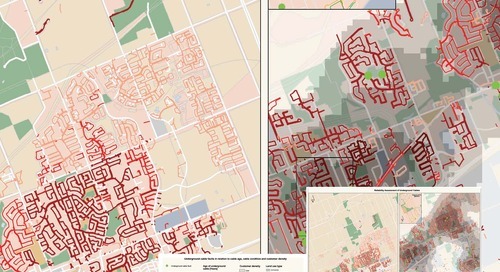 This map shows an exploratory, descriptive spatial analysis that investigates the location of schools in relation to air pollution and active transportation. 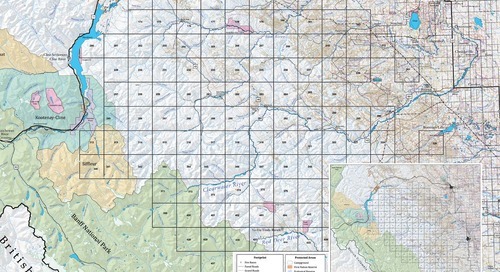 This map was created to help field crews set up and revisit hair snag sites for the 2018 Alberta grizzly bear population inventory. 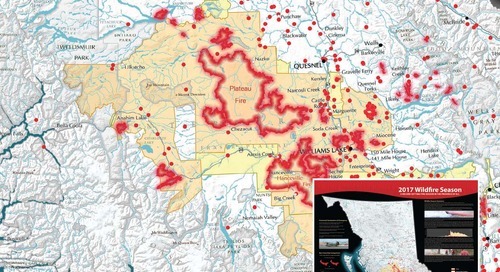 This annually produced map of the Northwest Territories shows the percentage of Crown Lands that have been set aside for, or are being considered for, conservation or closed to resource development. 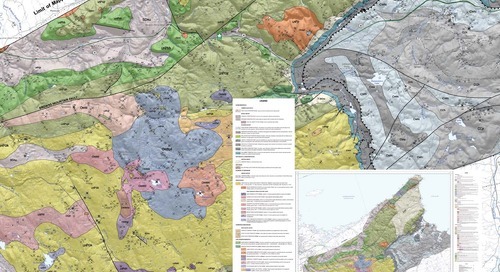 The Nova Scotia Department of Energy and Mines (formerly Natural Resources) initiated a geological mapping program in the Antigonish Highlands in Northern Nova Scotia. Prince Edward County in Southern Ontario is quickly becoming a popular tourist region for its old-Canada charm. 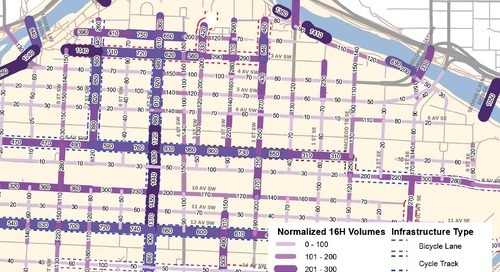 The Bicycle Volume Map illustrates the number of bicycles on different corridors in Centre City Calgary. 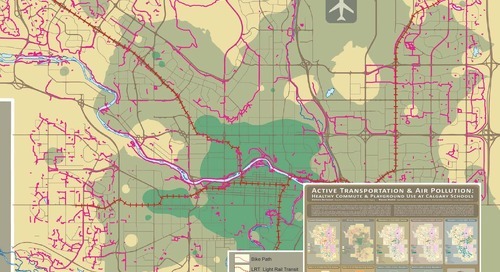 This map was created to ease congestion in a very popular and newly opened provincial park by informing users where additional parking areas are located. 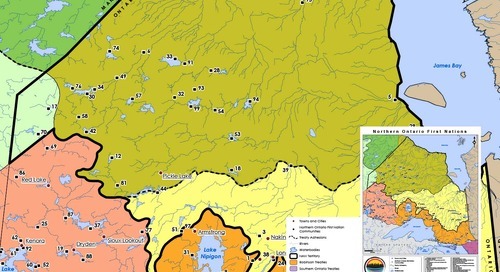 This map illustrates the First Nation communities in northern Ontario and the treaties associated with each community. 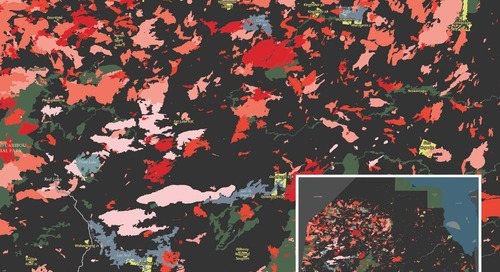 This map helps to visualize the progression of forest fires in Northern Ontario since 1960. 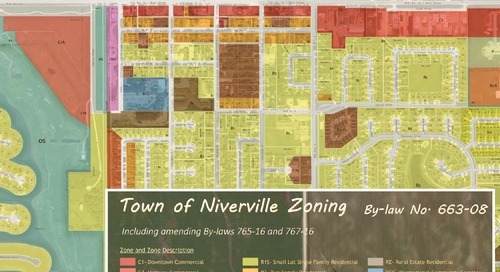 Located 45km southeast of Winnipeg in Manitoba, the town of Niverville is the fastest growing community in the southeast part of the province. fRI Research developed a forecasting model to understand how landscape disturbances alter caribou and grizzly bear food supply in Alberta. 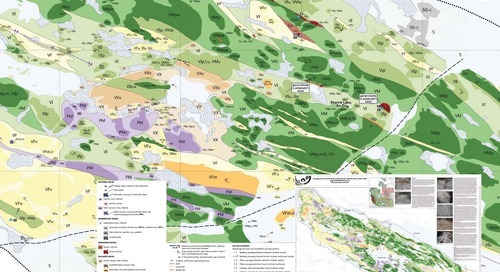 This map is the product of detailed geological mapping of 2.6 to 2.7 billion-year-old volcanic rocks in the Sharrie Lake area in the Northwest Territories.